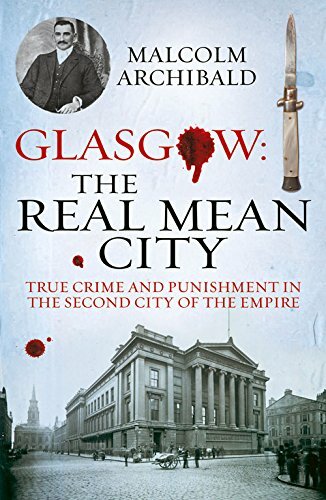 There cannot be many cities where crime could mean anything from stealing a ship to singing a seditious song, but nineteenth century Glasgow was a unique place with an amazing dynamism. Immigrants poured in from Ireland and the Highlands while the factories, shipyards and mills buzzed with innovation. However, underneath the bustle was a different world as an incredibly diverse criminal class worked for their own profit with total disregard for the law. Robbers infested the highways and byways, a glut of garrotters gathered to jump on the unwary; drunken brawls disfigured the evening streets, prostitutes lured foolish men into dark corners, conmen connived clever schemes and perfidious poisoners plotted. There were dark and dangerous places such as the Tontine Close and always the possibility of a major riot - with religion the excuse - as a volatile population became angry at unjust poverty and poor housing. It was perhaps not surprising that Glasgow formed Britain's first professional police force.